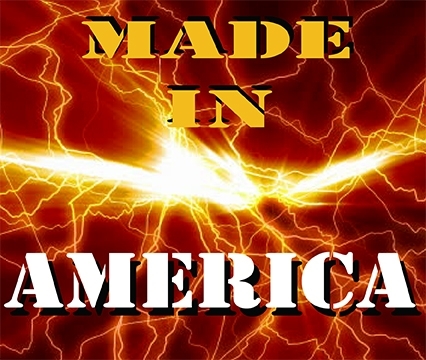 The Centerfold is a Stocking Item and is a non molded leather holster. 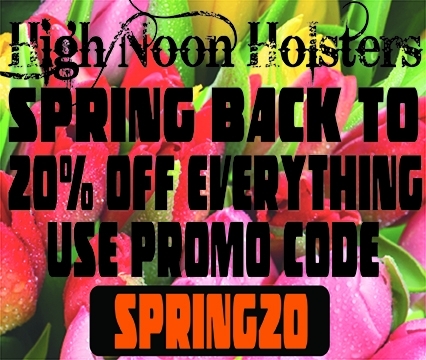 The recommended carry positions to wear this holster are 10, 11, 12, 1, 2, 3, 4. 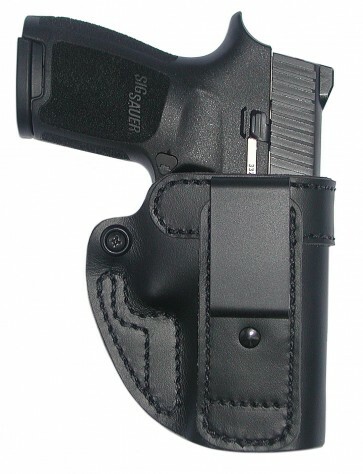 This leather gun holster is to be worn Inside the waistband and designed for a combat grip when you draw your weapon. 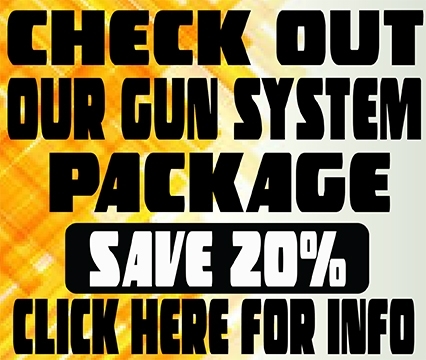 It is constructed of thin premium grade cowhide and this design allows the wearer to completely conceal a small to medium size pistol or revolver without wearing a vest or other outer garment over it. 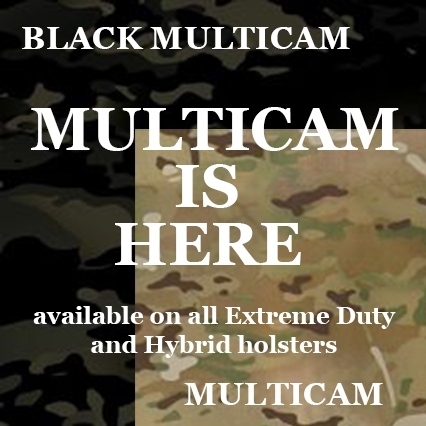 This inside the waistband holster requires only a tucked in shirt for concealment, and is designed for those who cannot consistently wear a concealing outer garment. A leather extension allows the wearer to tuck his shirt completely over the weapon and holster. 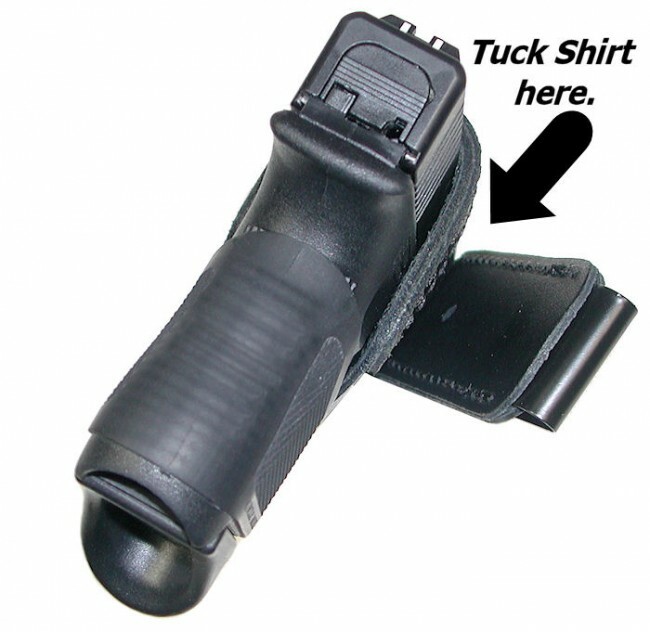 The only visible part of this holster is the belt clip. Weapon access is accomplished by pulling the covering shirt up with the weak hand and drawing with the strong hand. It features a tension screw for adjustment of the draw, straight drop (no cant), and an open muzzle design. The Centerfold is exactly like the Hidden Ally except for the ride height. 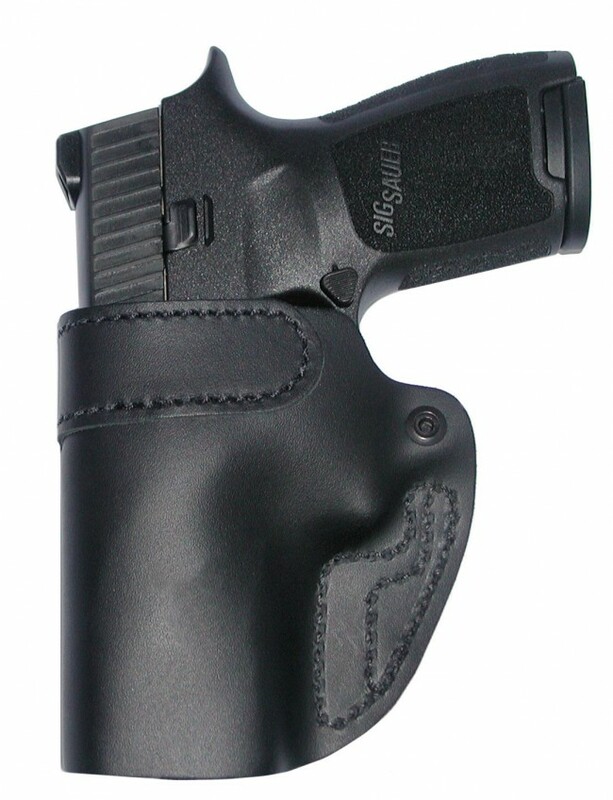 The Centerfold rides higher for a combat grip and the Hidden Ally is a low riding holster for deep concealment. It also features an all steel reverse J clip that locks onto the belt.The black clip against a black belt fools the eye, you can barely notice it. The leather is just thick enough to provide the right amount of padding, and thin enough that it kind of just disappears.This is the closest thing to wearing no holster at all. Its that thin. Because of the thin leather it does not support one handed reholstering. Available in Right or left hand, black finish only.